Horizon Eye Specialists & LASIK Center is pleased to now provide Tecnis Symfony® Intraocular Lenses for the treatment of cataracts. Symfony is a new category of intraocular lenses (IOLs), which are the lenses utilized the replace a patient’s natural lens removed with the cataract during cataract surgery. Tecnis Symfony lenses are the only lenses in the United States that provide a full range of continuous high-quality vision following cataract surgery. These lenses mitigate the effects of presbyopia by helping people focus on near objects. Presbyopia is the blurring of reading vision that comes with aging. 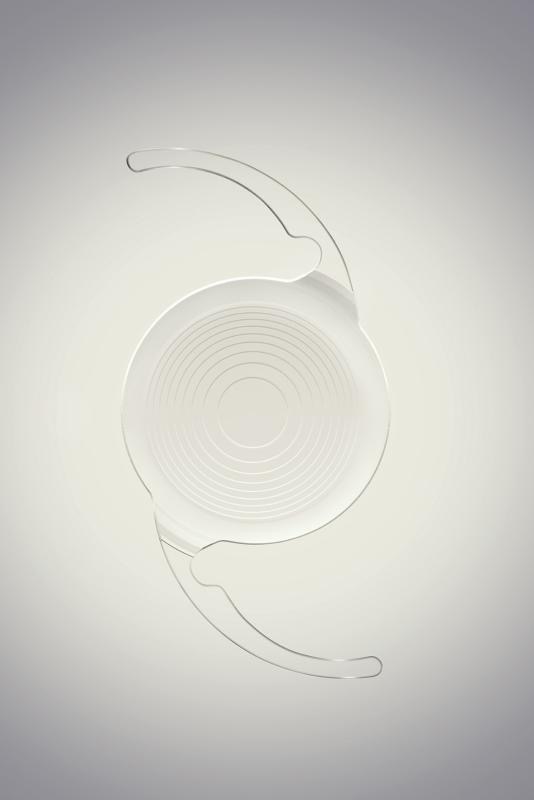 The FDA approval includes a version of the lens for people with astigmatism, the Tecnis Symfony Toric IOL. Astigmatism is a condition where the front surface of the eye is curved differently in areas. This results in blurriness to the patient’s vision. This Toric lens provides the first opportunity patients who deal with astigmatism have to provide lifestyle lens options with their cataract surgery. These patients may now have options to maintain or return their reading and distance vision with the Symfony Toric IOL. "These Symfony intraocular lenses expand the options I can offer my patients to improve their vision following cataract surgery. The range of vision offered with these lenses will greatly benefit patients who have difficulty focusing on objects at near distances," said Dr. Robert McCulloch. "Arizonians live active lives. We want to see clearly at all distances with no to minimum use of glasses when possible. Patients who choose the Symfony lens have the opportunity to enjoy the activities of their busy lives, with more freedom from wearing glasses." Symfony is one of the best options for our patients looking for a Forever Young option. "Symfony offers patients, including those with astigmatism, an option for crisp, clear vision at all distances," said Dr. Jay Levin, Horizon’s Medical Director. "We expect many patients will find a Symfony lens affordable for the additional benefits it can provide them over a standard monofocal lens." Provided seamless, day-to-night vision. Patients could see objects sharply and clearly at near, intermediate and far away distances, and points in between. Provided high-quality vision. Some IOLs may leave patients with an inability to focus clearly due to competing wavelengths of light passing through the lens at different angles (known as chromatic aberration), or with vision that is not completely focused because of the shape of the lens (known as spherical aberration). The Symfony lens has been engineered to correct these issues. Demonstrated a low incidence of halo and glare, which may be perceived as rings or blurring around bright lights. Glare and halo can sometimes affect an individual’s ability to drive at night or to perform other visual tasks. If you or a family member would benefit from these Symfony lenses or other options available with cataract surgery, contact Horizon Eye Specialists & LASIK Center to schedule a consultation with one of our surgeons.